Truth and lies take on a new dimension in THE PAPER STORE, a dark academic comedy about a former college student who forges essays for cash. Based on the acclaimed play 516 (five-sixteen) by Katharine Clark Gray, THE PAPER STORE tells the story of Annalee, an academic ghost writer who works in the shadows of a college campus. 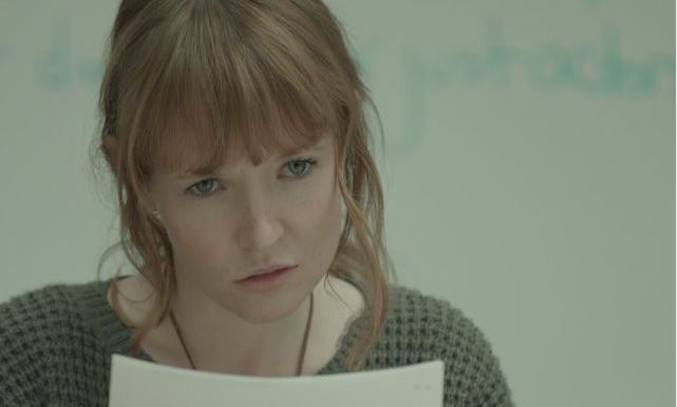 When Annalee is approached by student Sigurd to write his entire film studies degree, she initially has reservations but agrees to take up the challenge when Sigurd says he’ll pay double. Soon, the pair begin an intense sexual relationship but things begin to turn sour when secrets start to spill and the classic boy-meets-girl tale gets intelligently ugly. Dark, witty and intelligent, THE PAPER STORE is the ultimate tale of romance and revenge set in academia. Nicholas Gray and Katharine Clark Gray’s smart and solid script makes for compelling viewing, pitting the characters against each other with entertaining and provocative results. The compelling dialogue tackles many subjects from education and communication to exploitation and manipulation, with lots long, debate-style interactions between the two protagonists, particularly in the first half, who use them almost as foreplay. 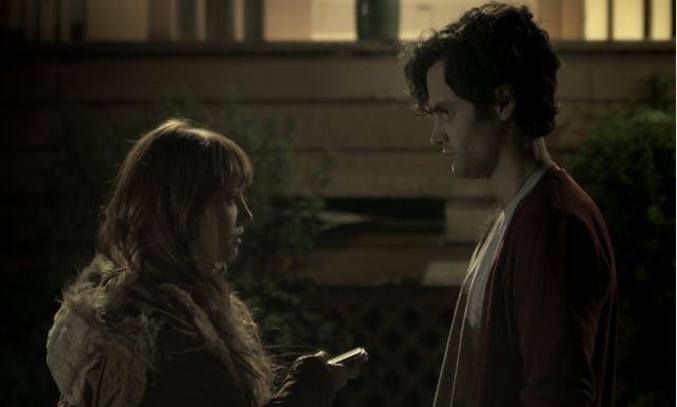 The film boasts strong performances from Stef Dawson and Penn Badgley as Annalee and Sigurd. Dawson brings a savvy and sharp performance as the over-educated and underemployed Annalee, driven forward by pride, desire and intellectual longing. Badgley is equally good as the wealthy protagonist Sigurd who hires Annalee to write the remainder of his papers so he can focus on his thesis. The talented pair have an intuitive handle on the nature of dialogue and the sexual tension between them is both convincing and believable. A special mention goes to Richard Kind as the imperious and unyielding Professor Marty Kane who holds Annalee and Sigurd’s future in his hands. There is a nice twist at the end as one betrayal leads to another and the tangled web of academic hierarchies involving Kane becomes apparent. The only disappointment is the sketchy camerawork, which results in the occasional blurred shot sneaking in every now and again. That said, there is lots to like about THE PAPER STORE. A clever, intelligent and thought-provoking drama that’s well worth a watch if you like your dialogue intelligent and your comedy dark and witty. THE PAPER STORE makes its International Premiere at the 2016 Manchester Film Festival.